Congrats Brandon! Glad to see it worked! For some reason I assumed the first test fire was going to be with gas, and then if that worked they would rip a few more off in semi auto. Makes sense of course when I think about it, to fire it this way first. Hopefully getting it to work in semi auto won’t be too difficult. 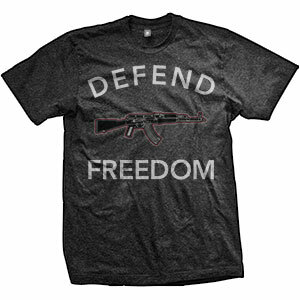 Oh and fittingly Brandon is wearing the ENDO Defend Freedom AK version t-shirt. ;) Always awesome to see.